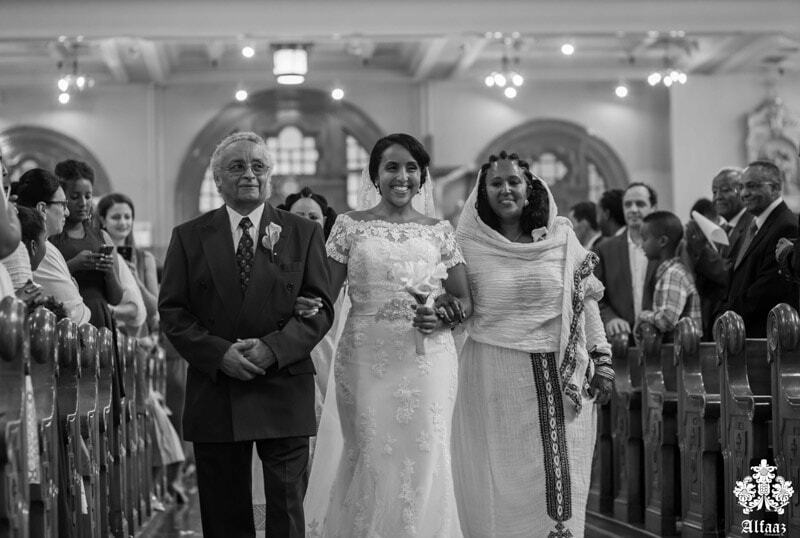 A huge privilege of being a multicultural wedding photographer is getting to experience the traditions and cultures of many different people. 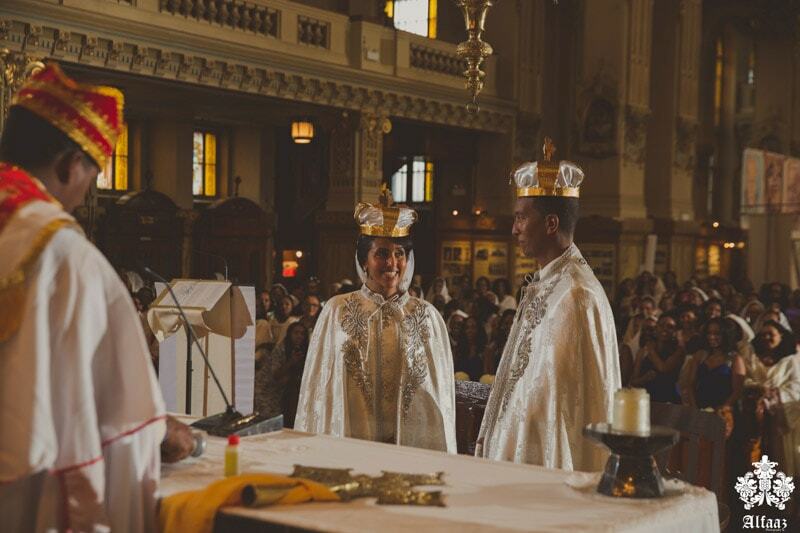 Thus, you can imagine our joy when we received the call from Milena and Sennay to shoot their Eritrean wedding in Montreal. 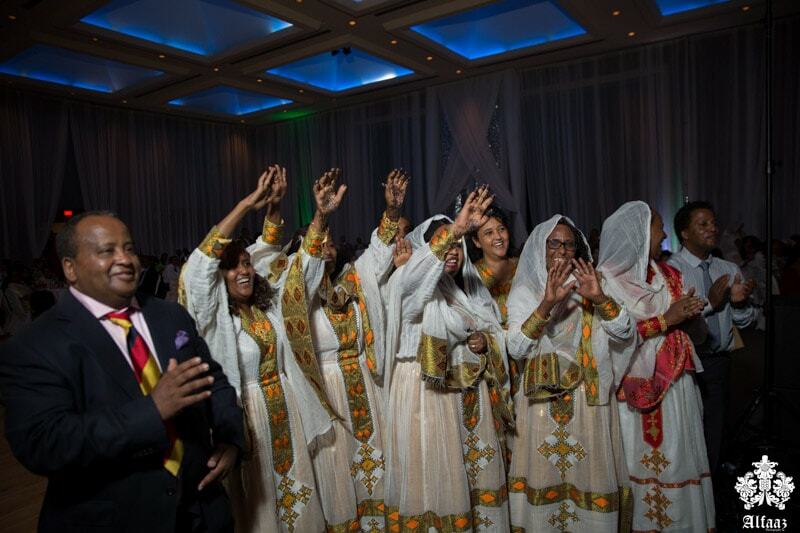 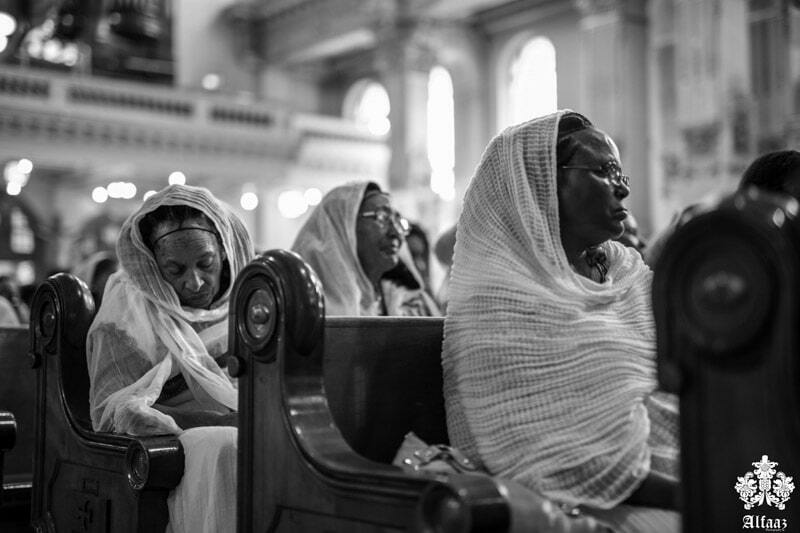 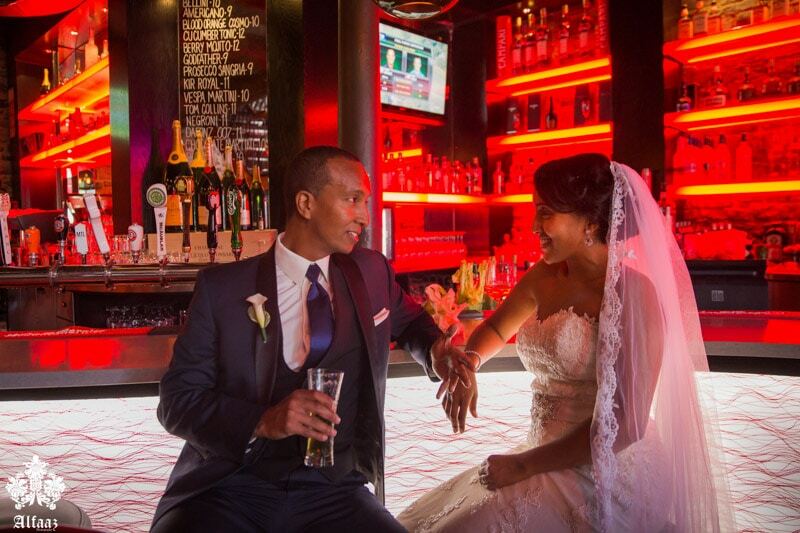 Eritrean weddings include two days of celebration. 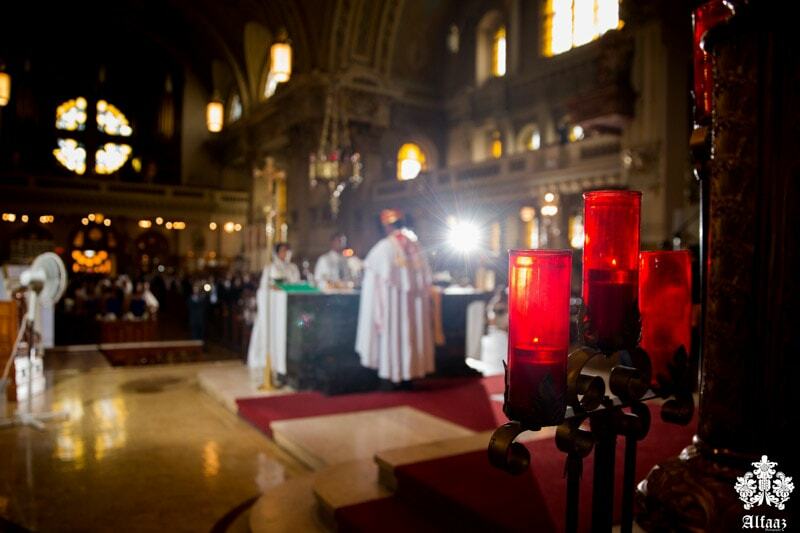 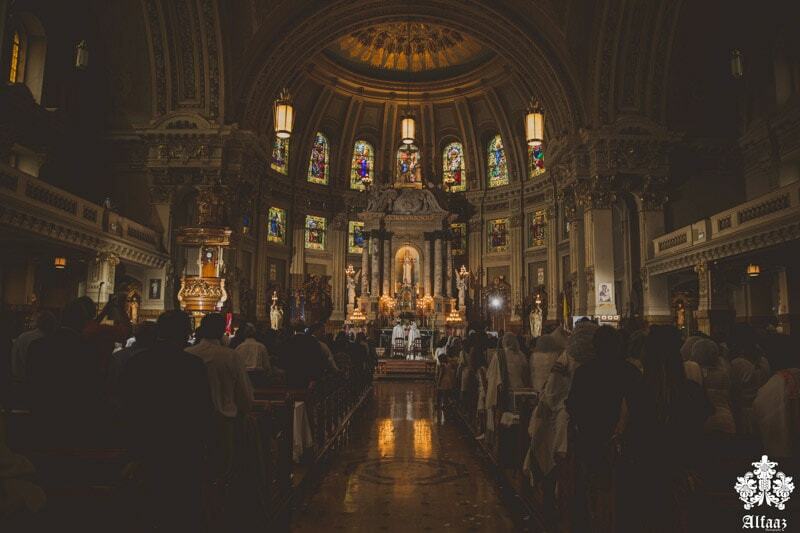 The first day focused on the Catholic wedding ceremony which was held at the beautiful French Cathedral, Eglise Notre-Dame des Sept Douleurs in Montreal. 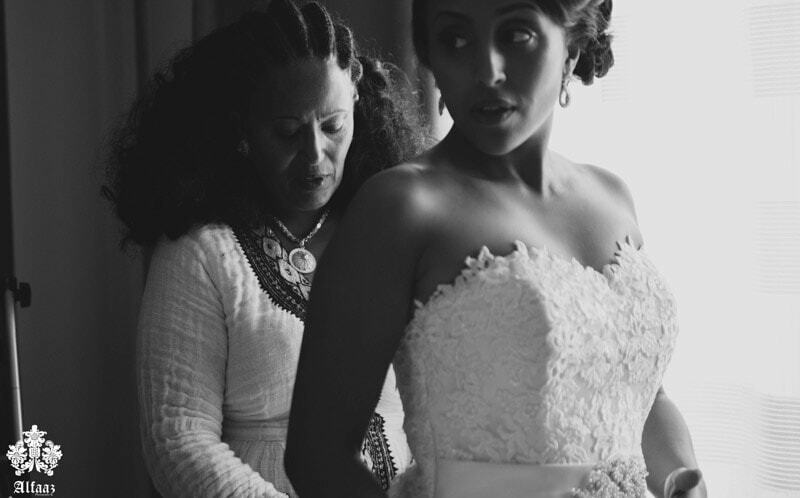 Milena’s mom helped her into a beautiful, fitted white gown. 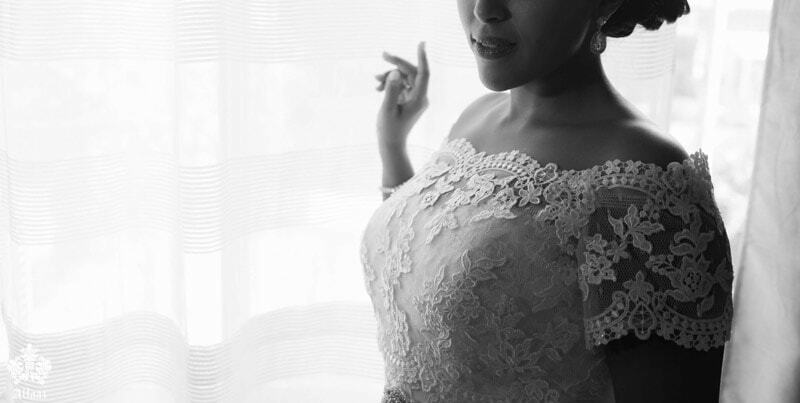 Her charming smile was all she needed to complete her classic look. 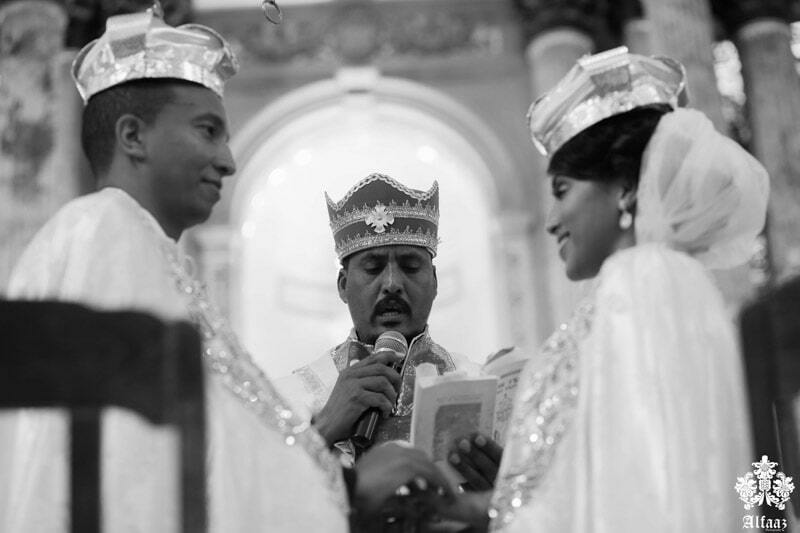 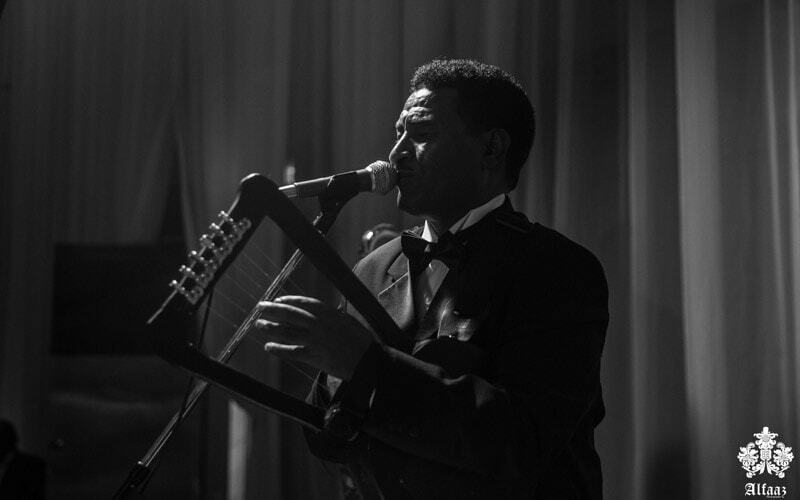 The traditional Eritrean wedding ceremonies are done on the second day of the wedding celebration; this is known as the Melsi. 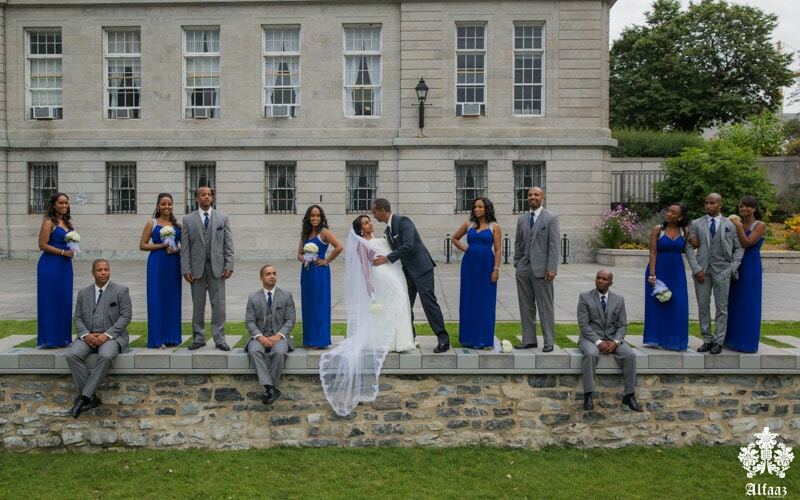 Prior to this, we had not met anyone from this African country before. 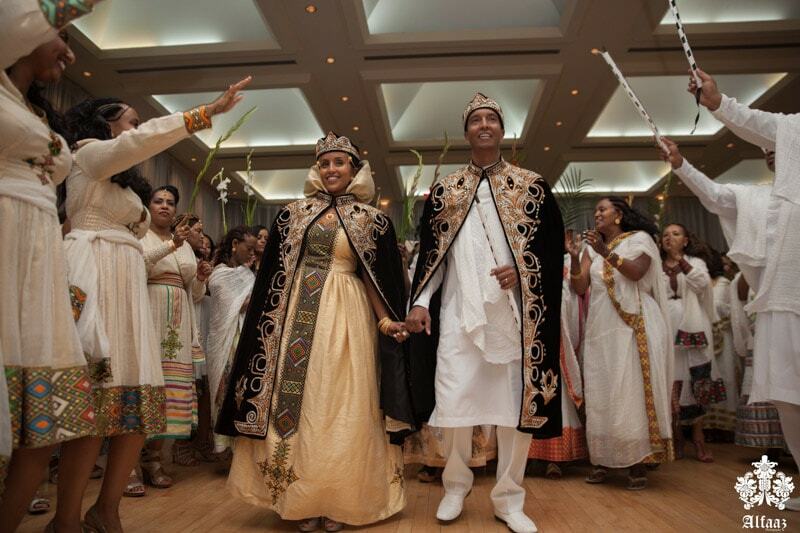 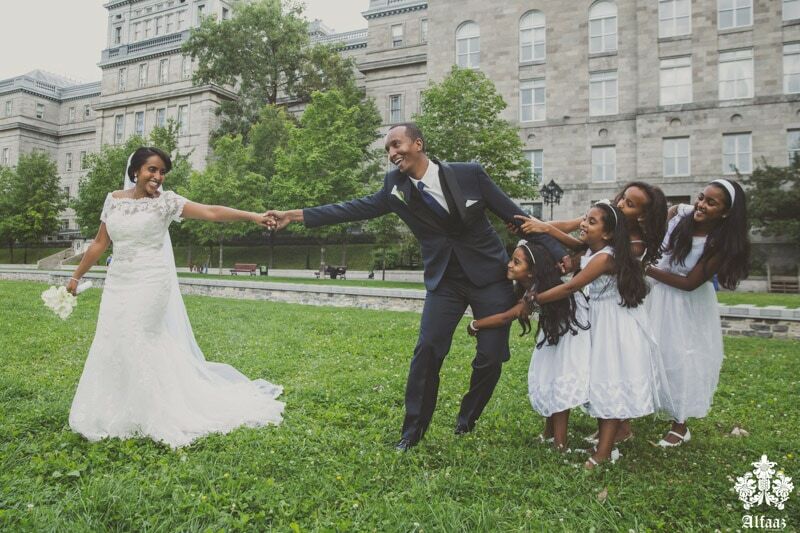 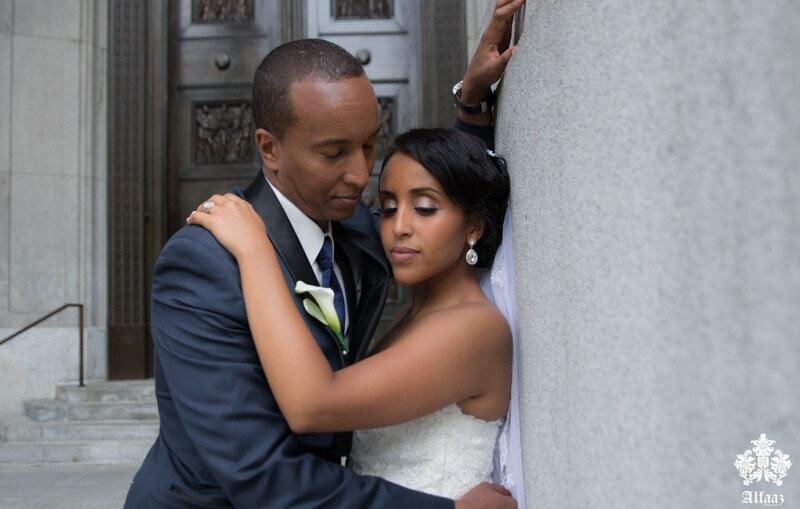 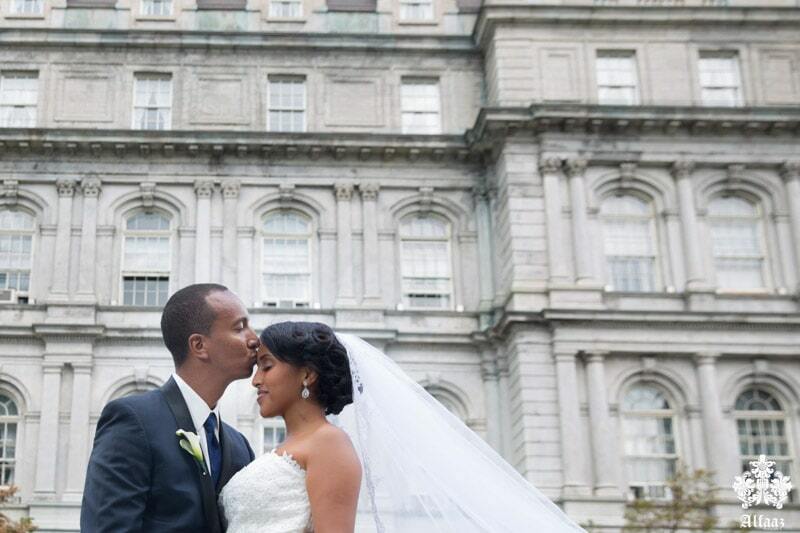 We learned from the couple and their family that Eritrean wedding traditions are very similar to those of Ethiopia. 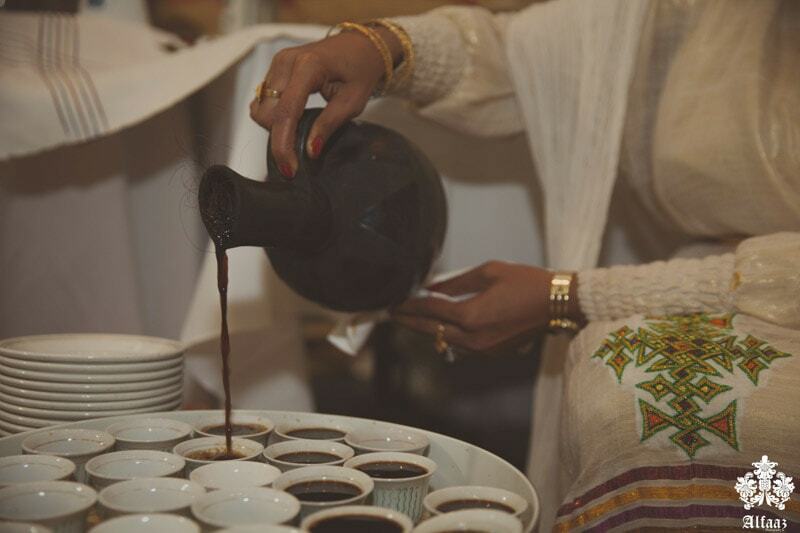 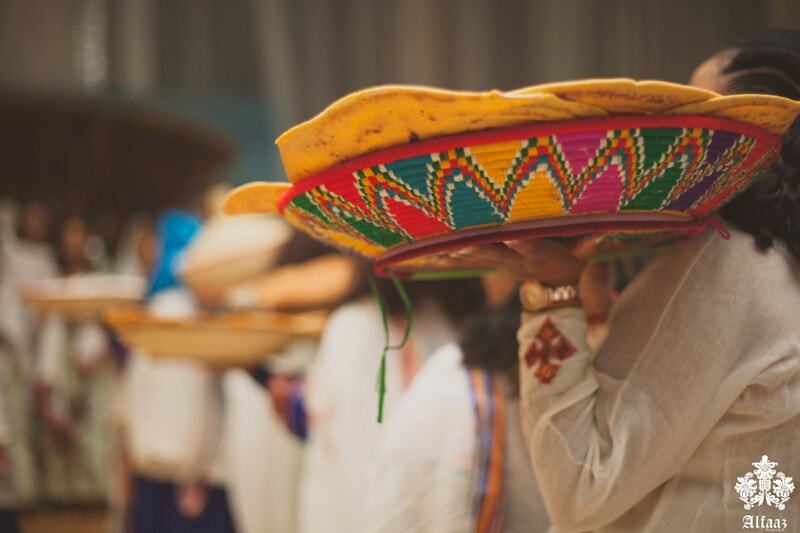 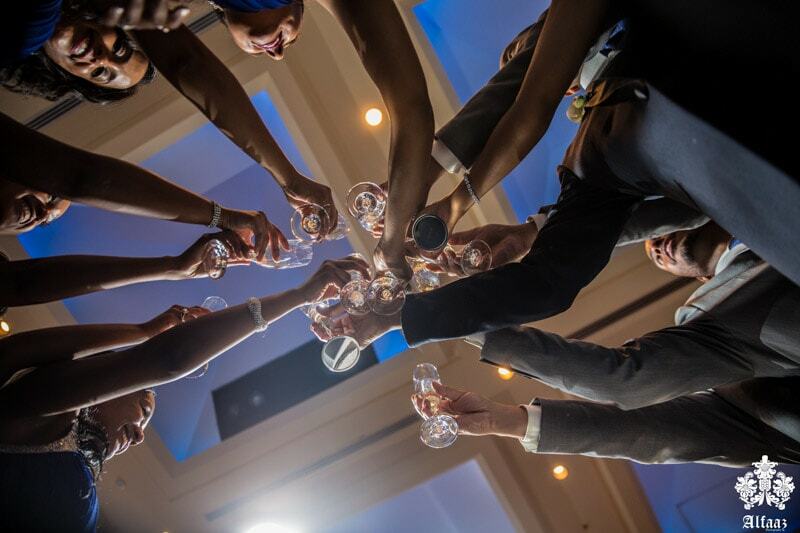 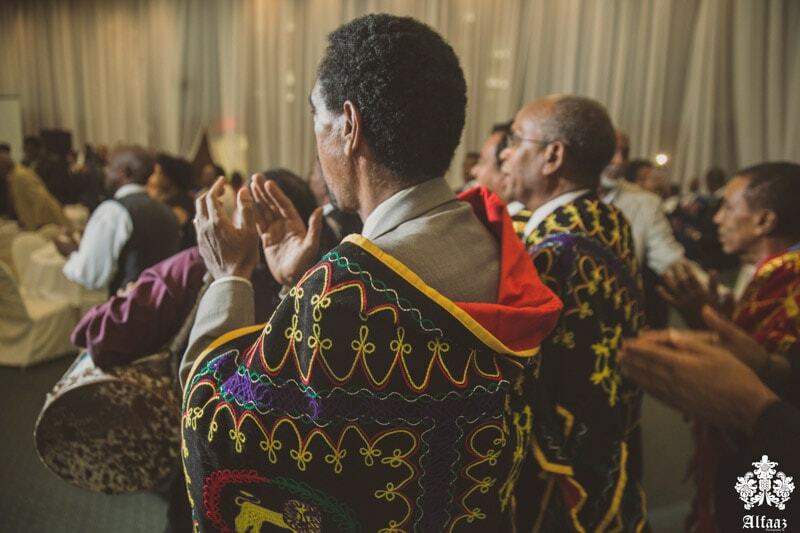 One wedding guest described that Eritrean culture and weddings are about community-building; for six months leading up the wedding, both families will get together to cook, prepare, and make traditional drinks including sewa (a beer like alcohol) and mes (a fermented honey drink). 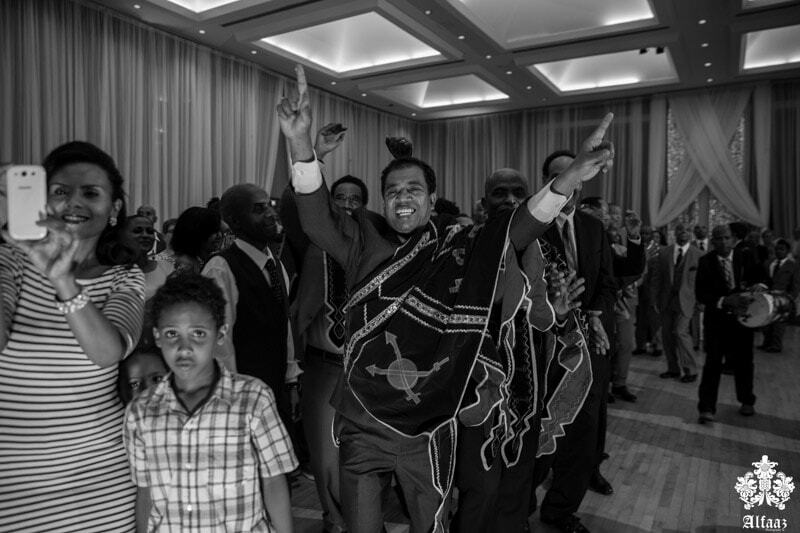 And of course, these six months are also full of singing and dancing. 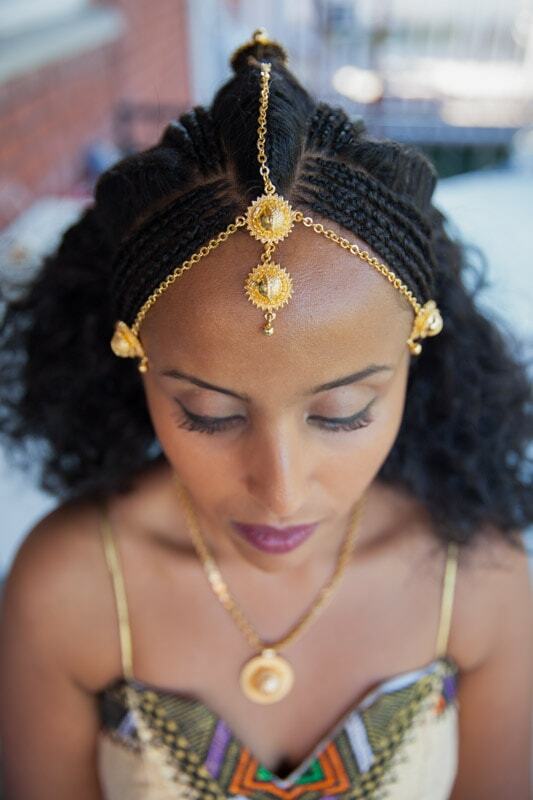 Milena spent the day getting adorned in henna and gold and having her hair braided. 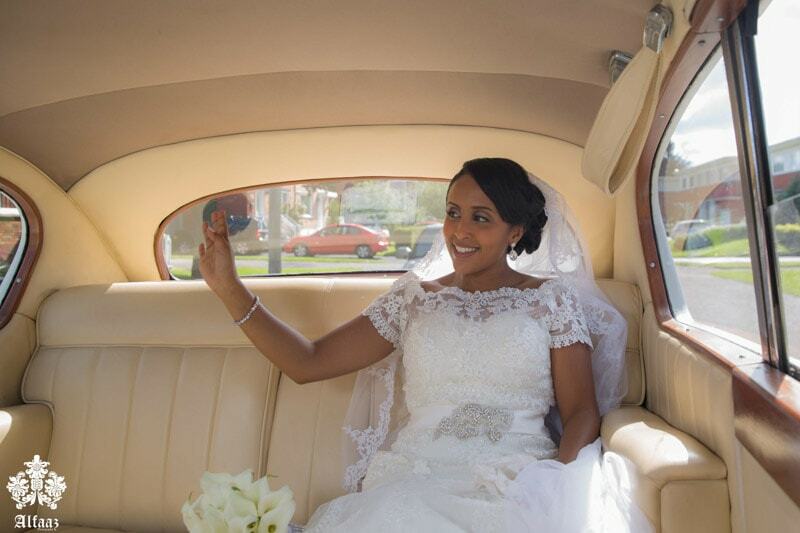 Dressed in traditional marriage garb, Milena and Sennay looked like royalty when they entered the Melsi. 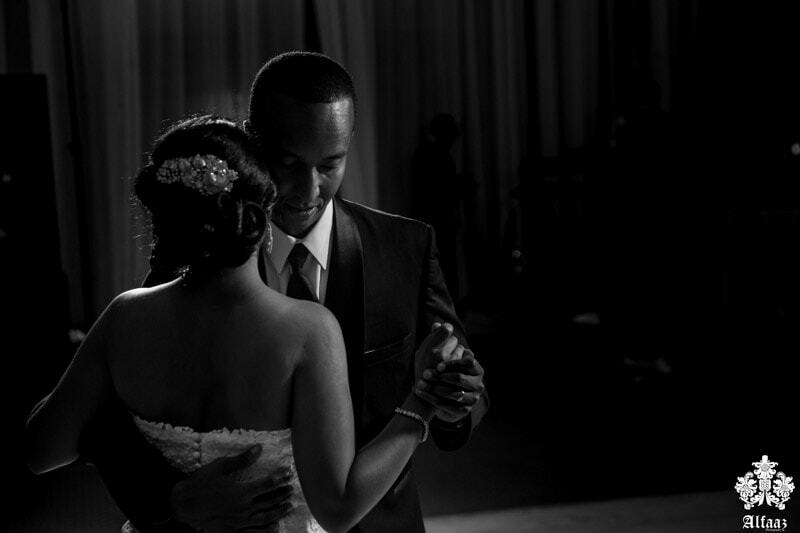 Immediately they were pulled into the dance floor to celebrate their wedding by dancing with all their guests. 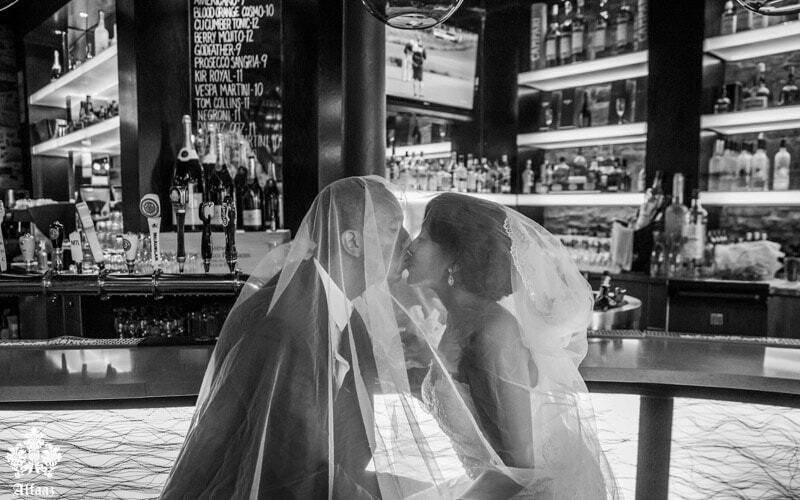 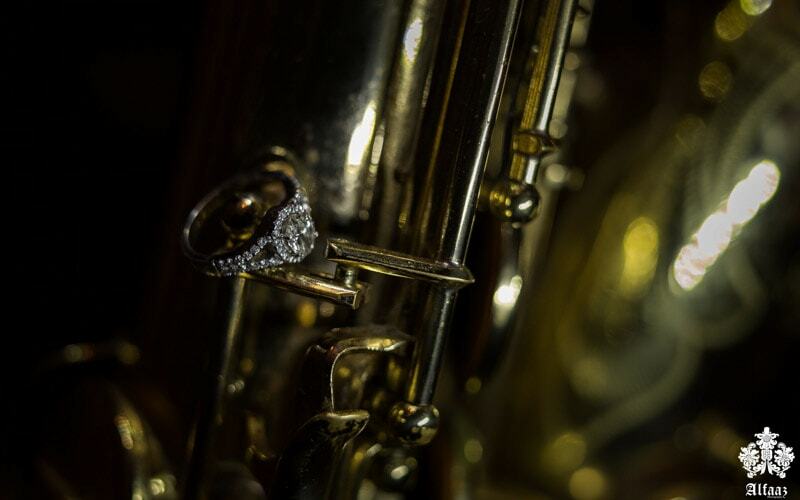 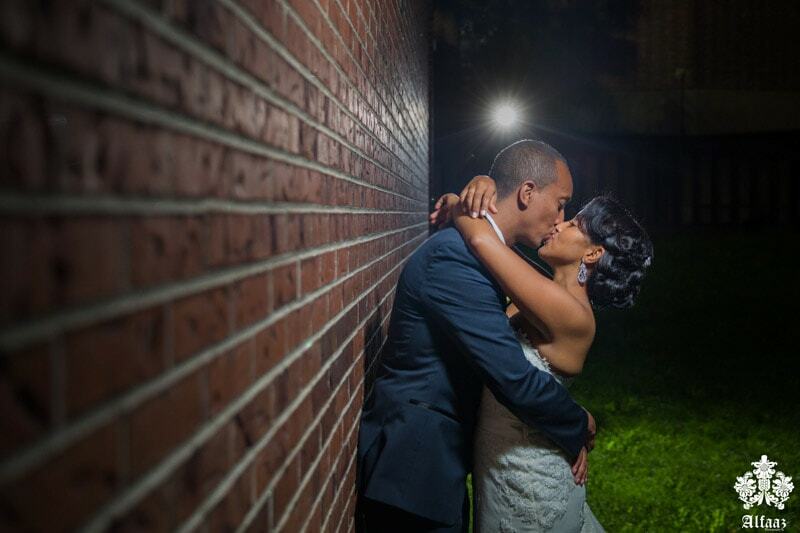 As a photographer, this wedding posed such a wonderful challenge. 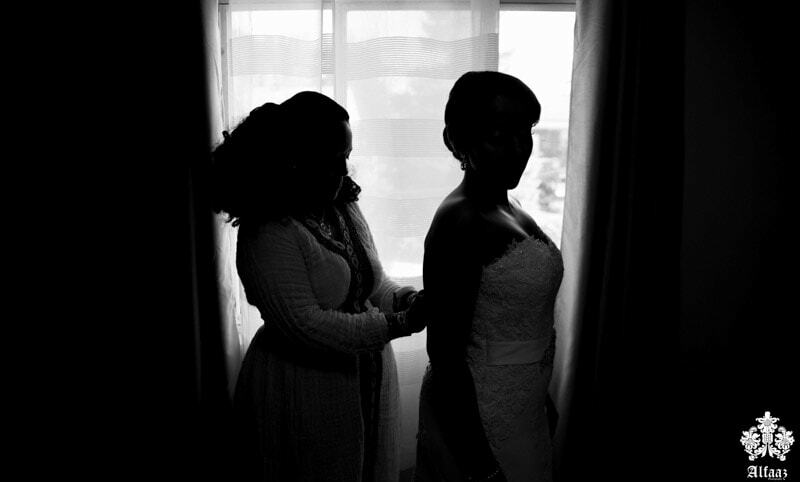 Capturing the story in this wedding meant that we had to be well prepared and alert to ensure we did not miss an important detail. 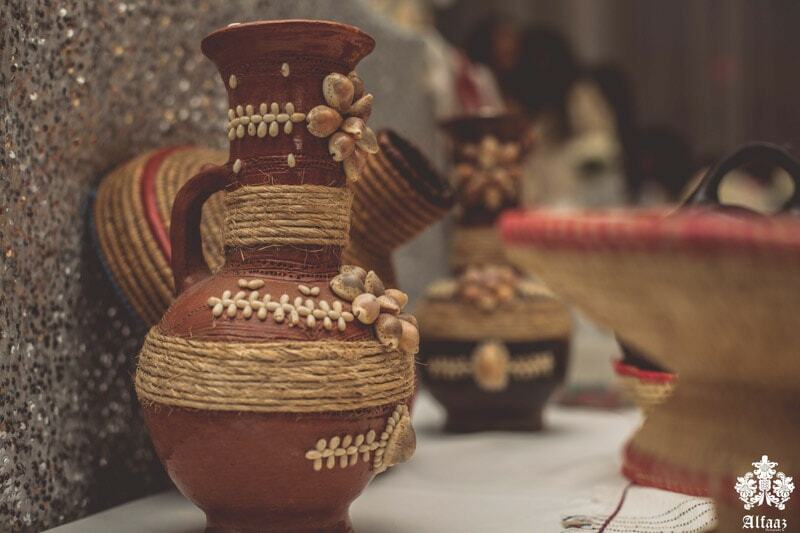 When we first met Milena and Sennay, we did not know anything about Eritrean culture, but we were committed to learning and immersing ourselves in it. 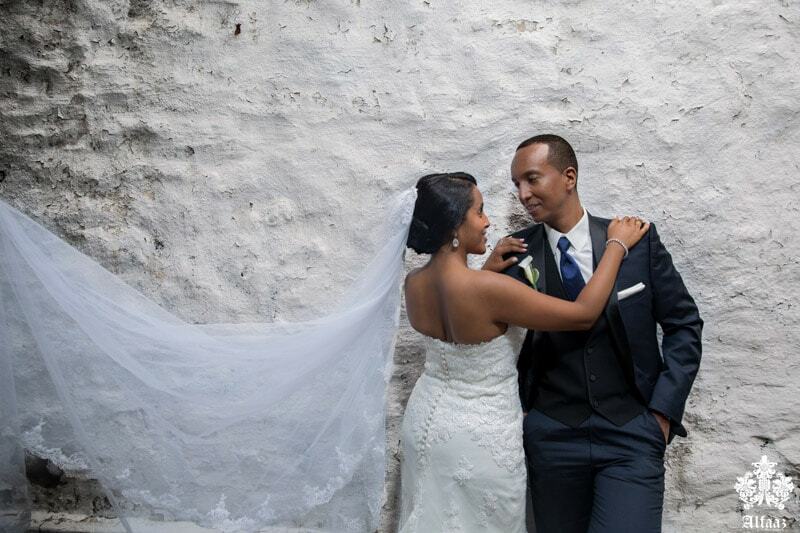 And we are so grateful to this couple for putting their trust in us and allowing up to witness and be a part of such a special tradition.